Boy Commandos Vol. 1 #1-36 + Vol. 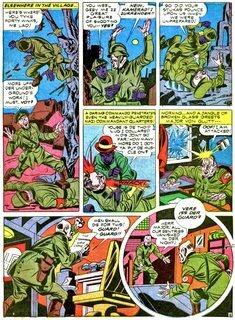 2 # 1-2 (1942-1949 + 1973) : Boy Commandos was a Golden Age anthology title published by DC Comics in the 1940’s, each issue containing a few stories of the titular group as well as the occasional filler or short story. 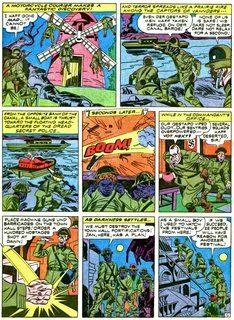 Created by Jack Kirby and Joe Simon, Boy Commandos became the third best-selling title at DC with over a million copies a month. 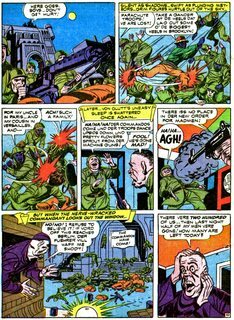 Originally the book featured the boys and their adult leader, Rip Carter fighting in World War II but following the end of the war the series continued but no longer as a war comic. Near the end of its run the line-up of the team began to change and finally the series ended in 1949 after a run of thirty-six issues.